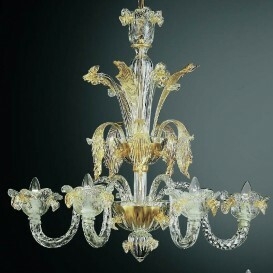 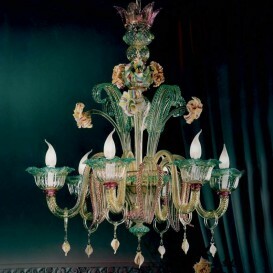 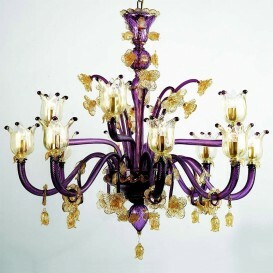 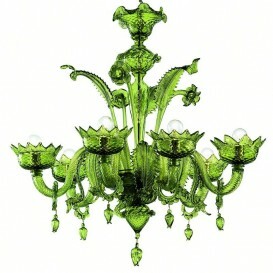 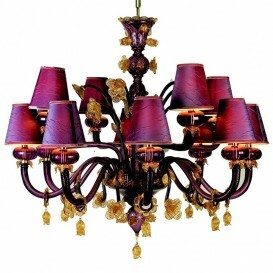 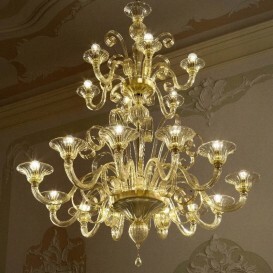 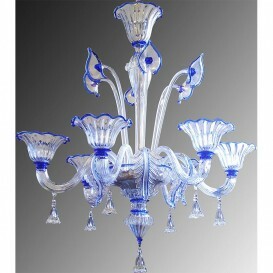 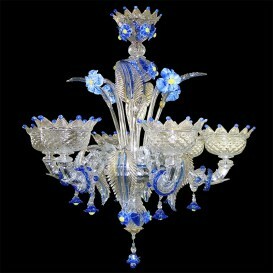 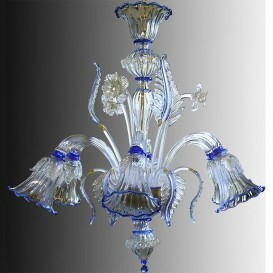 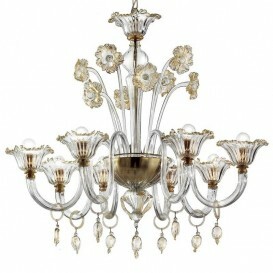 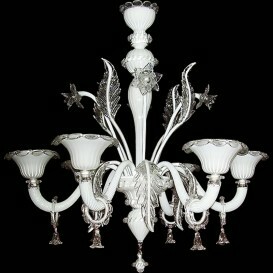 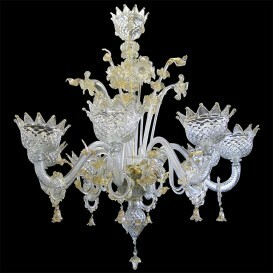 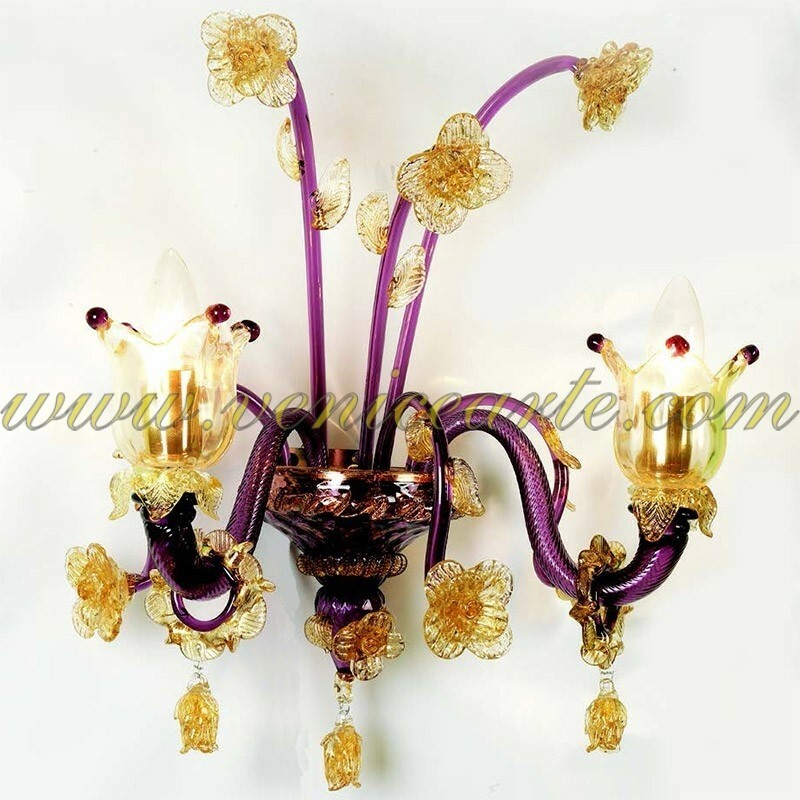 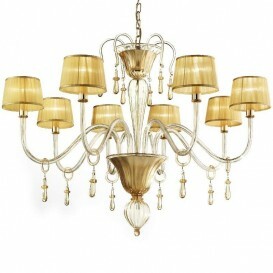 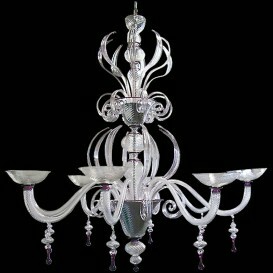 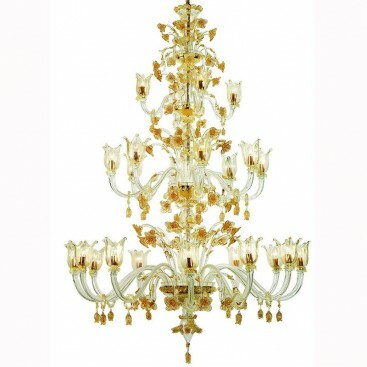 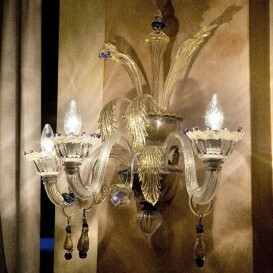 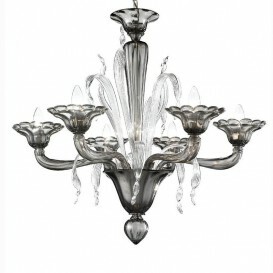 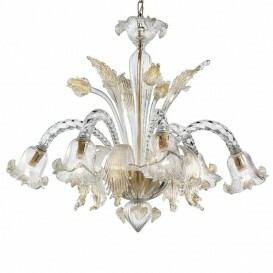 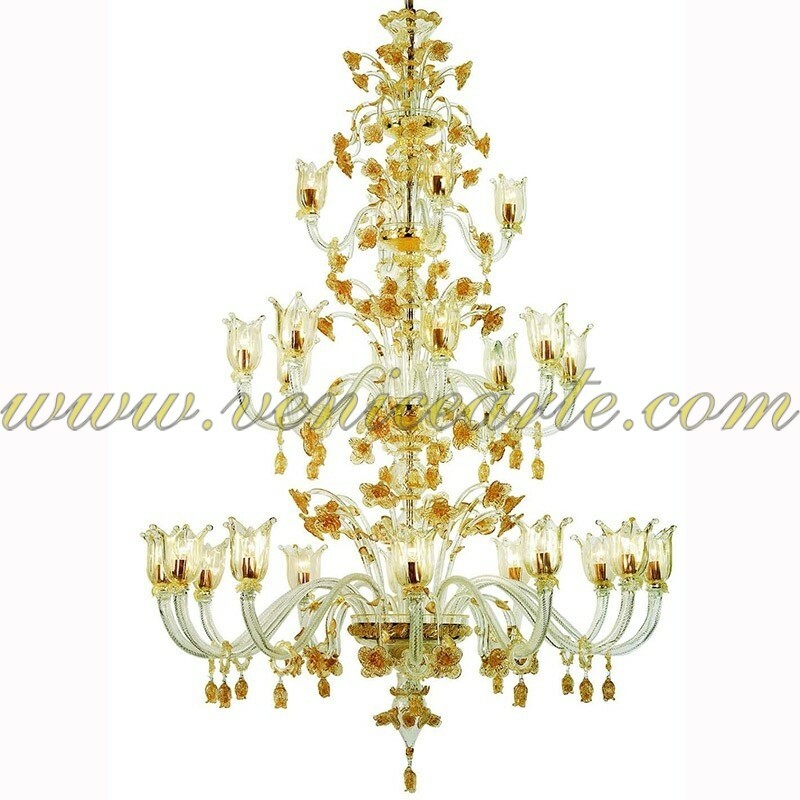 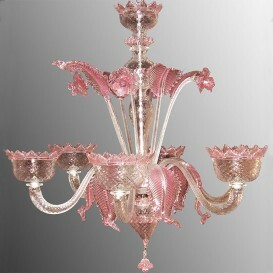 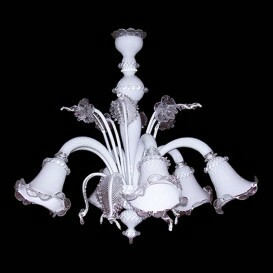 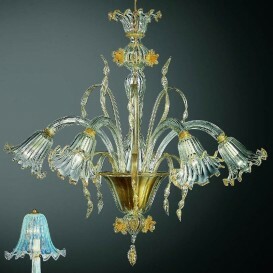 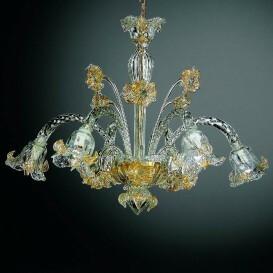 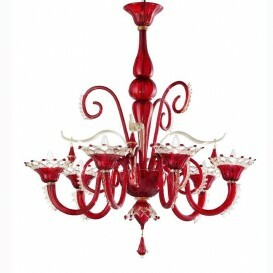 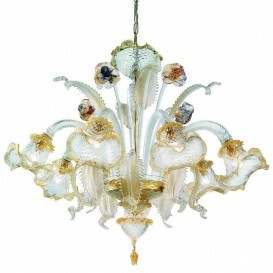 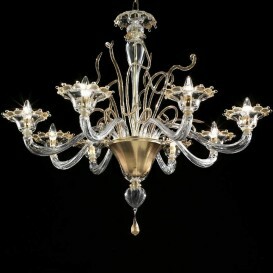 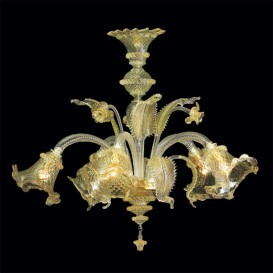 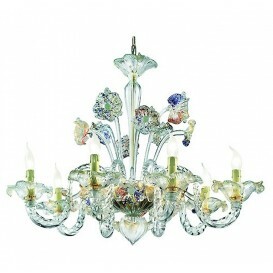 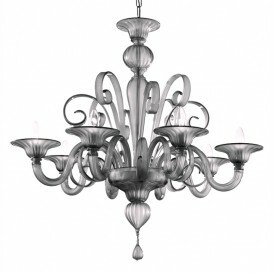 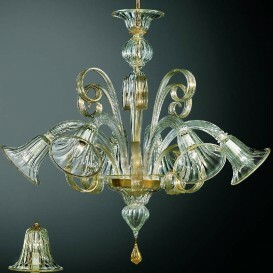 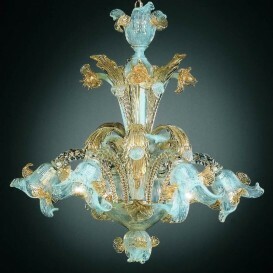 A Murano chandelier delicate and intense with details of inestimable craftsmanship glass. 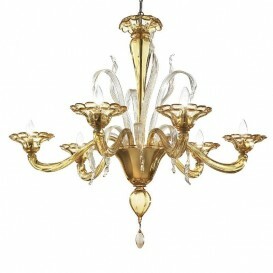 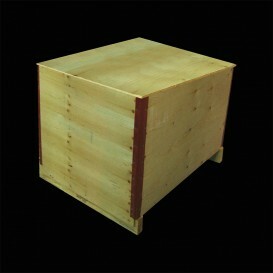 Penelope is available in the colors: transparent/gold, amber/gold, purple/gold, white/gold, black/gold, red/gold and straw/gold. 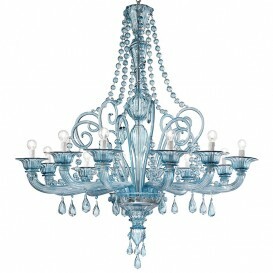 Any other color on demand.